Not too long ago, when most of us chose salt at the store, we grabbed the tub and went on our way. You know, the same tub our moms had in the cupboard growing up; the little girl with the umbrella ! Exploring the diverse salt options can take your side dishes to a whole new level. But the costs and confusion can make your choices complicated. Let’s dive deeper into the world of salts, so you know just what you need for your next menu. Table salt is the one you grew up with. It has fine grains and typically on every table in America. However, outside of chemistry class, it might not be clear table salt is mostly sodium chloride, rather than sea salt. Iodine is usually added to table salt – scientists believed we were lacking in iodine and so they decided to add it to table salt to solve the problem. 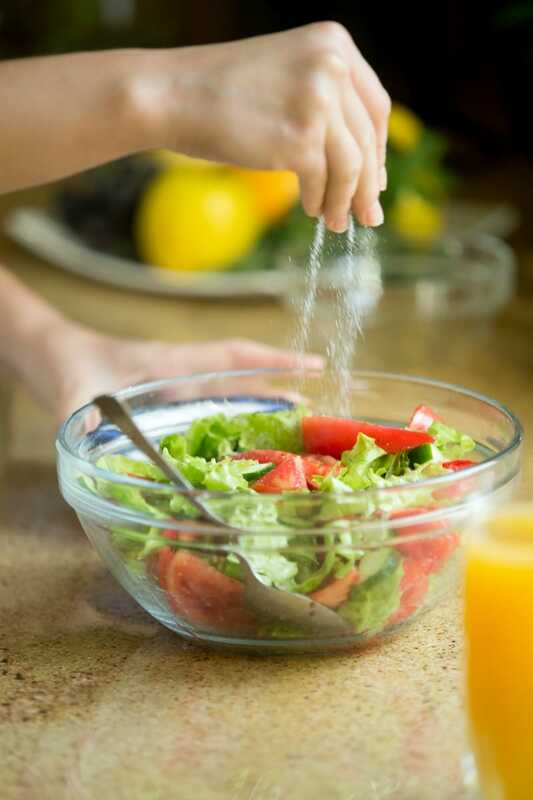 Table salt has been accused of the negative health stuff we associate with salt – partially due to the extreme amount of salt found in most processed foods. Partially, however, it’s because of the refining process where the salt is super-heated, bleached, and then laced with additives to make it easy to shake and store. If you’re a food TV fan at all, you’ll see just about everyone using Kosher salt in everything. Kosher salt is either sea salt or mined from the earth and meets the Kosher dietary guidelines. It’s a larger salt crystal than table salt, but still dissolves quickly and doesn’t contain the same additives as table salt. If you’re looking for a quick and easy upgrade from regular table salt, Kosher is a great way to go (and great in recipes like Pico De Gallo). The label “sea salt” is an umbrella term that lots of different types of salts fall under. As you might expect, sea salts come from evaporated sea water. Depending on the location of the water and the minerals typically found there, the salts vary in their mineral content and flavor. It is typically unrefined and does contain natural iodine, although in lower amounts than table salt. Some have become concerned that ocean pollution is also polluting the salt we get from the waters – microplastics being a major concern. As with all things, sea salt in moderation. Flake salt is what it sounds like – a type of salt that is large and flake shaped pieces which are perfect for all kinds of presentations. To make the flakes, sea water is harvested, filtered, and heated until the salt in the water crystallizes. These crystals, left to their own devices in big pans collapse on themselves and settle to the bottom where they are raked up, dried, and packaged. Voila. Flaked salt is pretty expensive, so chefs use it for presentation and decoration as well as flavor. 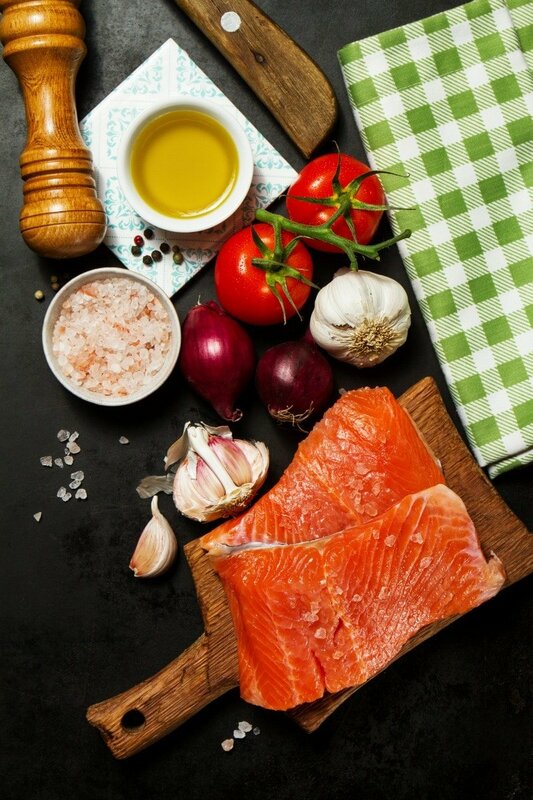 Think a lovely side of salmon, chocolate caramel brownies, or rich herb bread. The flavor will have you hooked for life, and the large pieces will make your dinner guests feel incredibly special. One special type of salt are the Hawaiian Sea Salts. Hawaiian sea salts are cultivated from the waters surrounding these Pacific islands. While traditional Hawaiian salts were red, they also come in white and black shades. 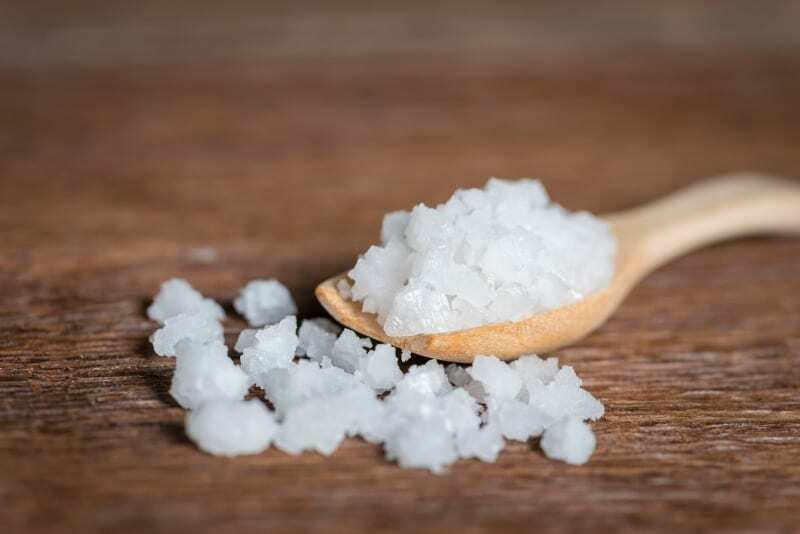 While the Hawaiian natives believed the salts had specific healing powers, the amazing flavor is best used as a finishing salt, rather than during the cooking process. This ensures you get every grain of flavor where it makes the biggest difference. True Himalayan pink salt is hand-mined in Pakistan, from an ancient sea salt deposit. The crystals are so pure they are frequently used in spa and beauty treatments. It can range in color from pale pink to a dark red and works great as a finishing salt as well as in cooking. Typically, these salts are sold as larger pieces that need to be ground for use in recipes. When cut into slabs, Himalayan salt can be used as a serving platter for both warm and cold dishes , even ice cream! Most rave about the intense and unique flavor of this salt, in comparison to other options. Fleur de sel is a salt harvested from the thin layer of crystals that forms when sea water evaporates. This delicate method is still done by hand, and the result is beautiful and dainty crystals shaped like flowers (hence, “flower of salt”). While ancient people used the salts in medicines, modern chefs use them primarily to garnish dishes. Gray salt is a French salt similar to fleur de sel, although the salt is allowed to sink to the bottom of the collection ponds, rather than simply skimmed from the surface. When it sinks, it contacts the gray clay lining the ponds, which gives it both it’s gray color, but also a boost of vital minerals, including iodine. Even after packaging, gray salt will still need to be further dried – spread it on a sheet pan to let it dry for a day or overnight. Certain brands even offer Kosher certified options as well. There is a wide array of smoked salts to choose from – just like choosing the ingredients to smoke meats. To create smoked salts, the salt crystals are literally placed in a smoker with the flavorings and allowed to absorb the flavors and aromas. You can find just about any combination of smoking flavors you prefer, or, you can even make your own at home. Smoked salts add an entirely new dimension to dishes and work fantastic on seared meats or vegetable sides. No matter your preference, it’s time to play with salts! Experiment with something outside your regular shaker and see what new combinations, textures and flavors you can bring to the table.